A Double Uni Knot is perfect for joining braided line to monofilament or joining together two different diameter lines. 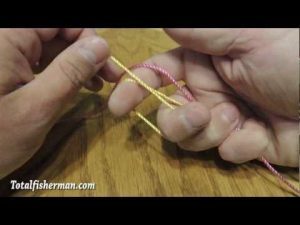 This HD video shows you exactly and quickly how to tie this awesome fishing knot! The Uni Knot is a great knot for braided line and can be used for monofilament as well. This knot is an excellent alternative to the Palomar knot because you can tie it at any point in your line not just at the end where your hook is. Mooching and Drifting for salmon in the Columbia River's Buoy 10 fishery! The Blood Knot is used for joining two fishing lines or ropes together. 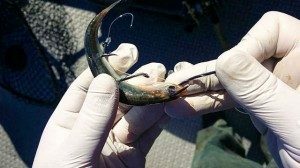 It is an easy fishing knot to tie but make sure you tie it correctly and cinch it down tightly so that it doesn't come undone. The Double Uni Knot if perfect for joining two separate segments of line together, especially if they are of different diameter. This knot is strong and relatively easy to tie. Make sure you always wet your knots with saliva or Chapstick to make sure they form properly as well as ensuring that they cinch down nice and tight. 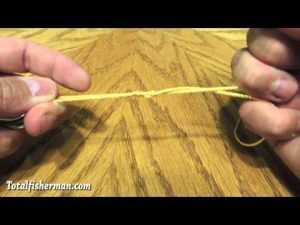 The Uni Knot is a strong and easily tied knot that can be used for braided fishing line or monofilament. The major advantage of the Uni Knot over the Palomar Knot is that you can tie it anywhere you want, not just at the very end of your line. The Uni Knot does not require a loop to be passed over the very end of line like the Palomar.